In response to devastation by hurricanes, the state of Florida implemented a product approval system in 2003. This system requires certain building components to be tested, evaluated, validated, and accepted by the Florida Building Commission prior to installation. The Florida building code standards, particularly for the High Velocity Hurricane Zone in Miami-Dade and Broward counties, are considered among the most stringent product standards in the country. Gulf Coast Supply has completed over 100 tests to evaluate performance under high wind conditions, and is proud to carry a full line of product approvals for installation in Florida. 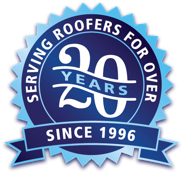 Wherever you live, you can be sure that your metal roof from Gulf Coast has been tested in Florida to perform everywhere. All Florida Product Approvals can also be accessed directly from the Florida Building Commission. NOA’s (Notice of Acceptance) can be viewed directly from the Miami-Dade County Department of Regulatory and Economic Resources. We have updated our product approvals for the 2017 Florida Building Code, which is effective beginning 31 December, 2017. All product approvals available below are suitable for use under the current FBC. If the legacy approvals (FBC 2014) are needed, please contact us.